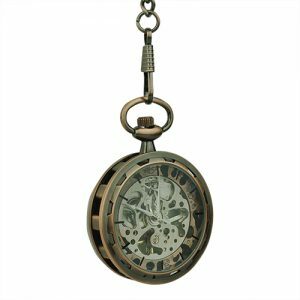 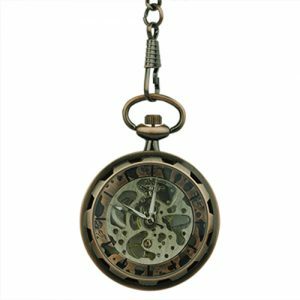 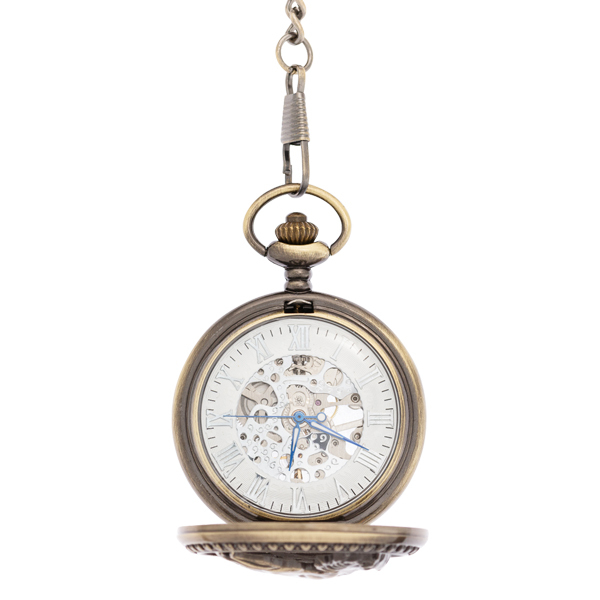 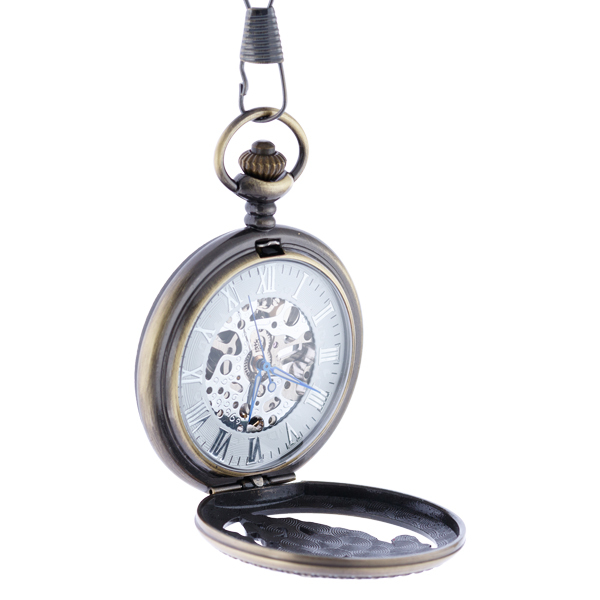 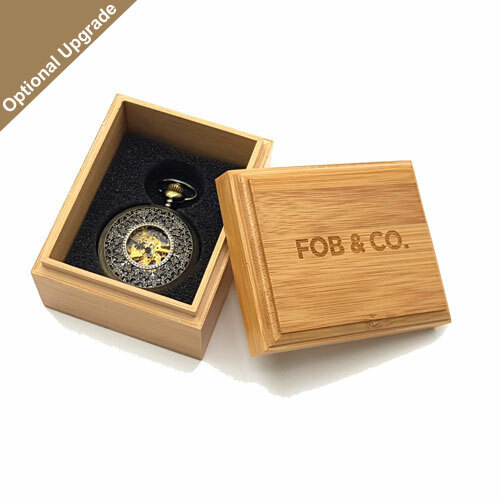 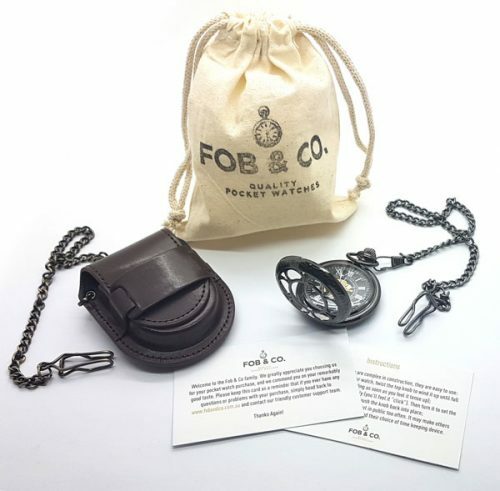 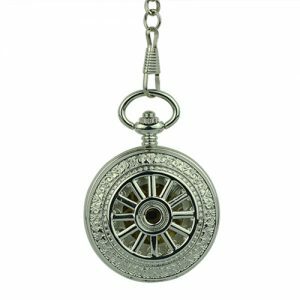 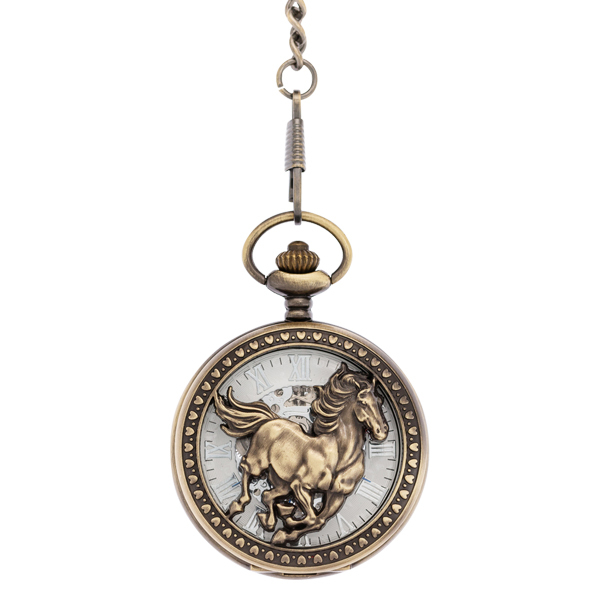 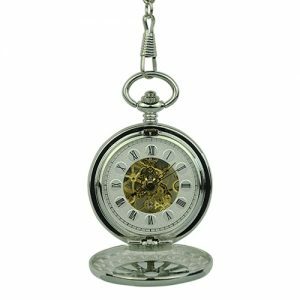 Here is a brass-coloured pocket watch with a half hunter cover featuring a running horse design. 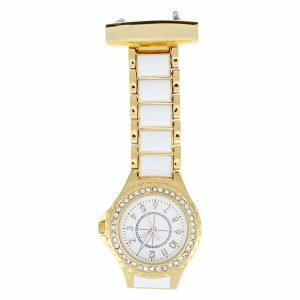 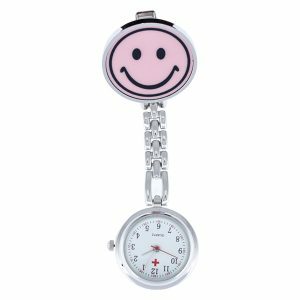 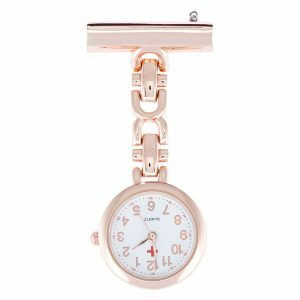 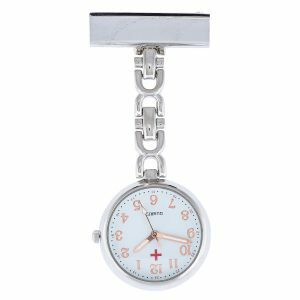 The viewing windows reveal a white outer ring watch face with white Roman numerals. 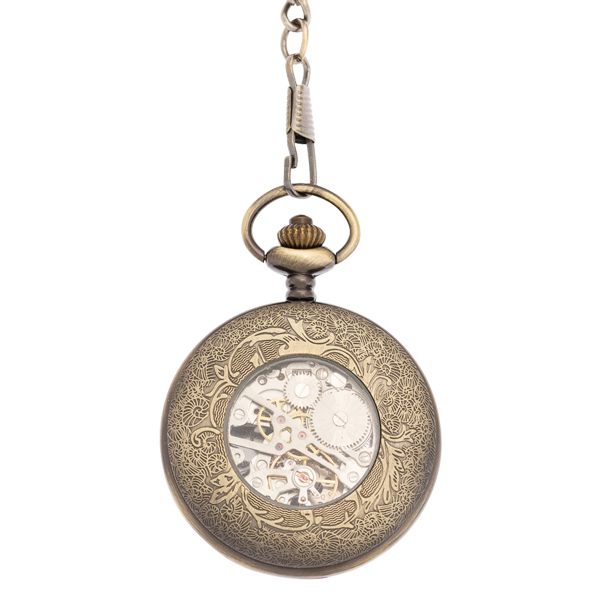 The center is a see-through design showing silver-coloured inner workings.